Please phone ahead to book in your repair or service - pre-booked bikes will, under normal circumstances, be ready by 6pm on the day of service. Our hourly rate for services is $100 per hour or $25 per 15 minutes. We do not charge a service call fee but do charge a quote fee of $50. The quote fee of $50 is refunded if the work is completed by our store within one month of the quote date. WARNING conditions of repair and storage fee (please read carefully). The below prices are estimates and estimates are not firm prices. They are guides to probable costs. Due to unknown difficulties or complexities which may be encountered and additional parts which may be found to be unsuitable at the time of repair, it is not always possible to give a firm price or quote. 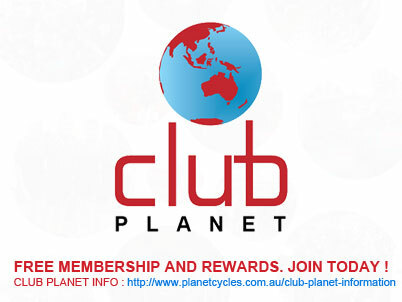 Our work is guaranteed only to the extent of the work done and the parts replaced by Planet Cycles. Repairs must be collected within 7 days of scheduled pick up date or a storage fee of $5 per day for every day thereafter will be charged on pick up. Repairs not collected within three months will be sold to recover costs.